An Israeli checkpoint between Ramallah and Jerusalem. HP services computers used by Israeli occupation forces in the West Bank. The UK’s largest union for school teachers has launched a boycott of HP over the technology giant’s role in the Israeli occupation. More than 21,000 people in the UK have also signed a pledge to boycott the US-headquartered firm. HP has an active and ongoing role supporting the Israeli military. 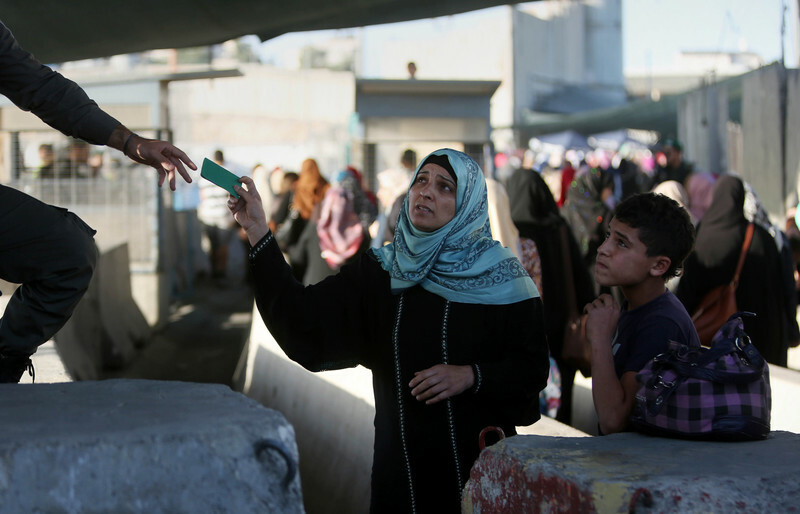 That includes providing support services for the biometric ID system used at Israeli checkpoints all over the West Bank to enforce Israel’s dictatorial pass system on Palestinians. HP is also contracted to provide IT services to Israeli prisons and settlements in the West Bank. And the firm provides services and technologies to the Israeli military, including the navy, which enforces the decade-long blockade of the Gaza Strip. The Israeli occupation of the West Bank and Gaza Strip are illegal under international law, as are all Israeli settlements. Details of HP’s role in the occupation have been cataloged and verified by the group Who Profits. Ben Jamal, director of the Palestine Solidarity Campaign, said that the boycott pledge signed by tens of thousands was a “wake up call” for HP. He said that councils, businesses and faith groups should follow the lead taken by the teachers’ union. “HP should sit up and take notice – being complicit in human rights violations tarnishes your brand beyond repair,” he said. HP became a key target for the Palestinian-led boycott, divestment and sanctions (BDS) movement last year. That followed similar – and successful – years-long campaigns against Veolia and Orange, two French corporations that had also sought to profit from the Israeli occupation. An international campaign launched against HP in late 2016 prompted a California church to vote that all of the firm’s products should be shunned. An earlier vote in the United Methodist Church that proposed divestment from HP was condemned by Hillary Clinton during her failed campaign to become US president. Clinton is herself a Methodist. More recently, the student senates at two US colleges voted to divest from HP and other companies involved in the Israeli occupation. Posted in BDS, HP, International Labor, National Union of Teachers (NUT), NUT, U.K.